These websites and their content is the property of IDTechEx and is protected by copyright. 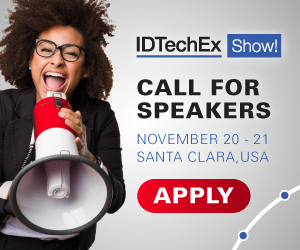 No part of the website may be reproduced and/or transmitted in any form or by any means, including but not limited to electronic, mechanical, including photocopies, recordings or systems of data storage or recovery, without the express written permission of IDTechEx. IDTechEx endeavours to ensure that the information is correct but does not accept any liability for error or omission. IDTechEx, nor the original providers of the material, accept any liability for any direct, indirect, incidental, consequential loss of business profits or special damages arising from its publication on this website. IDTechEx allow readers to access articles but does not guarantee service or article accuracy in any way. Users of the site are request to log in if they wish to continue reading articles and must do so for them to continue using the site. Many of the news items, features, reports on products, and other pages on this website include links to external websites, such as those of advertisers. These links are included to give you the opportunity to explore an issue in more depth. IDTechEx Ltd is not responsible for the content of these Internet sites. IDTechEx Ltd reserved the right to alter copy or refuse advertising on any of our websites without reason.